When Moto Z was about to be launched, there was an excitement around the smartphone less because of the actual hardware specifications on it and more because of the swappable mods that could enhance the utility of the device manifolds. As the various mods were introduced, the anticipated camera module was found missing. If we go by the latest leaks, it seems like the module might finally be coming to Moto Z- that too in partnership with one of the most legendary professional camera makers in the world, Hasselblad. 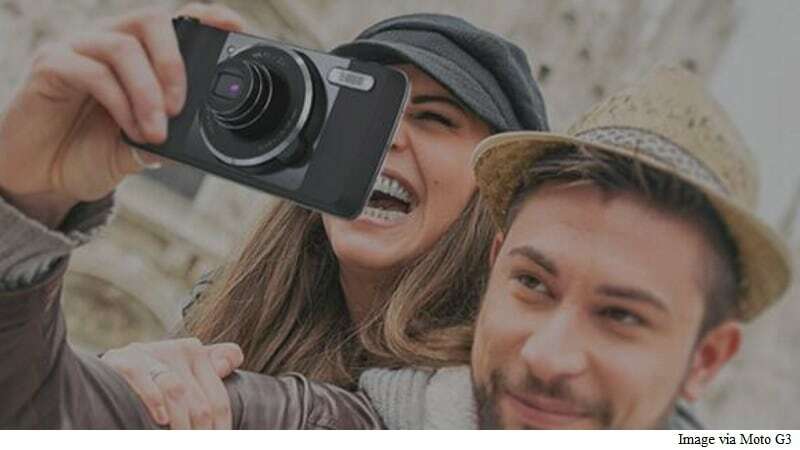 Leaked images posted by fan site Moto G3 suggest that the much awaited camera module will not only come with a Hasselblad branding, but will also feature a powerful 10X optical zoom lens that will ensure that your images look sharp despite zooming in from a long range. Even though there is no information regarding the sensor on the camera mod, because of its small size, the Hasselblad’s signature medium format sensor probably won’t make it to the Moto Mod. The images include promotional material, which point to a Xenon flash, Raw format option, and automatic backup feature. A live photo shows f/3.5-f/6.5 aperture range, and a 4.5-45mm focal range. According to the report, the module can be expected to be launched at IFA event in Germany, which starts September 2. Despite no leak regarding the price of the camera module, the Hasselblad branding suggests that the addition might not come in cheap. Based on the focal length, the report speculates the use of a 1/1.7 to 1/2-inch sensor like in some of the premium compact cameras, giving a field of view close to a 21mm to 24mm lens on a full-frame camera. As with every other leak, we will have to wait till the actual announcement by the company for an official confirmation.